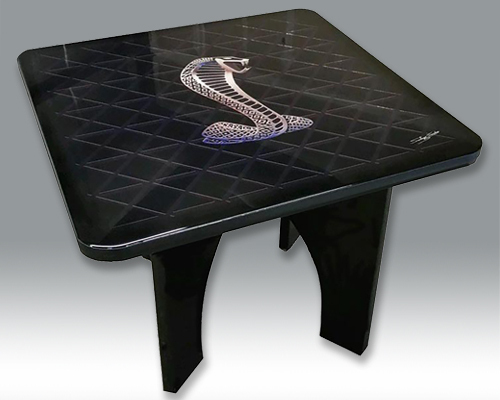 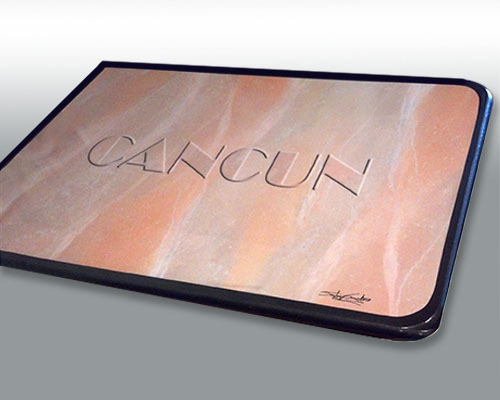 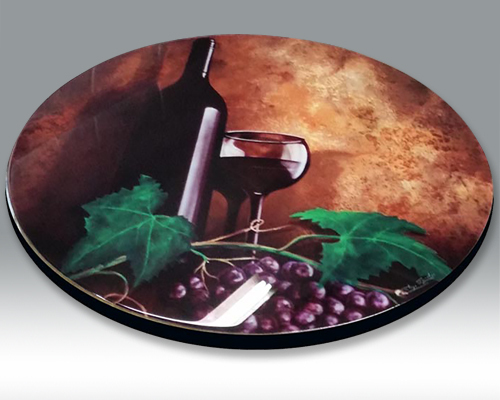 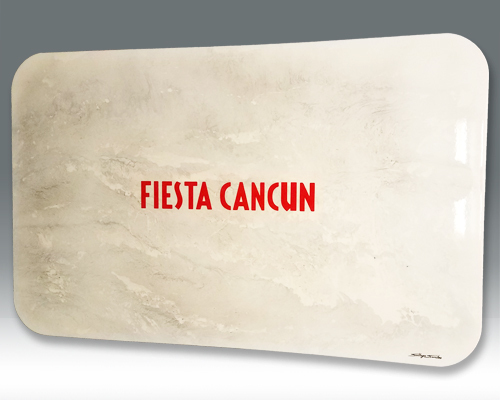 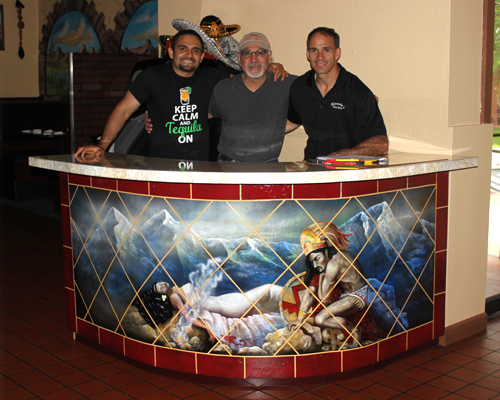 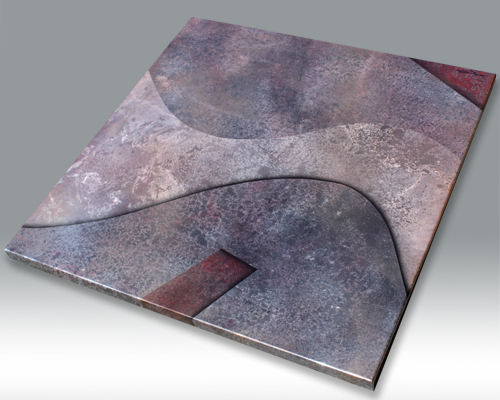 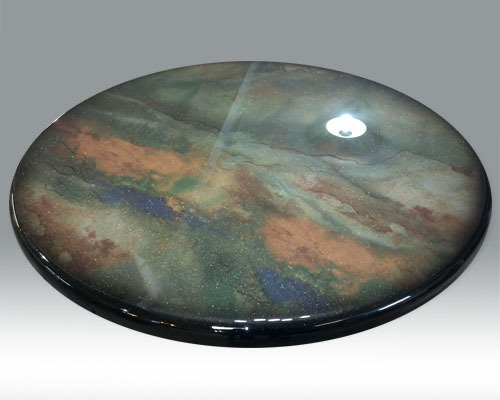 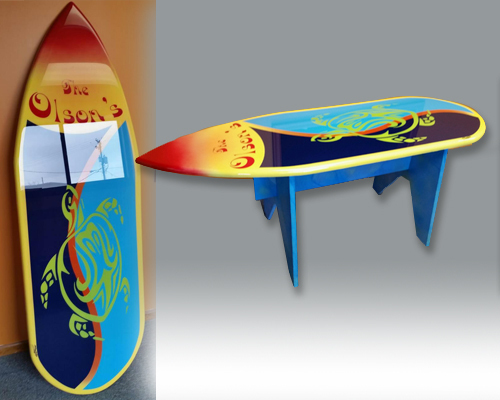 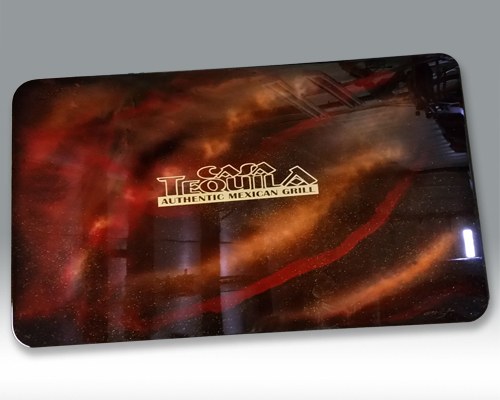 Signature Tables produces one of a kind Artisan tables, counters, and bartops which are individually painted and signed by the artist - Santiago Sanchez. 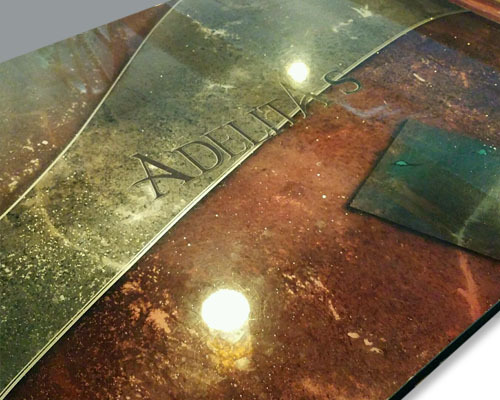 Send Us Your Image. 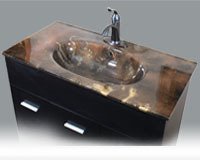 We Design It. 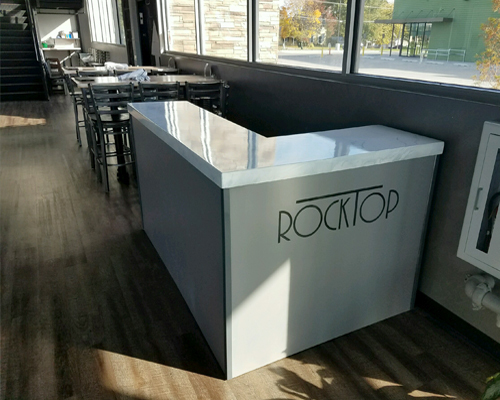 You Approve It. 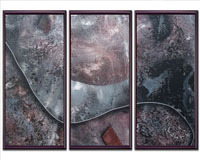 Buy Through PayPal. 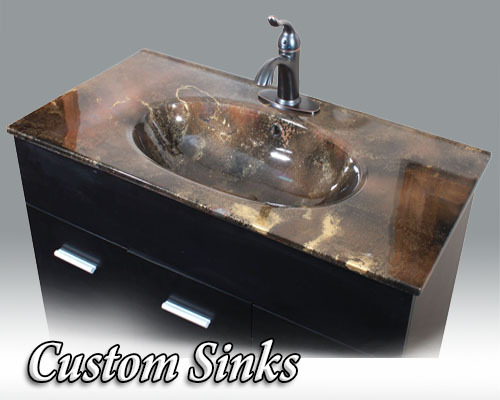 Each artisan creation is unique. 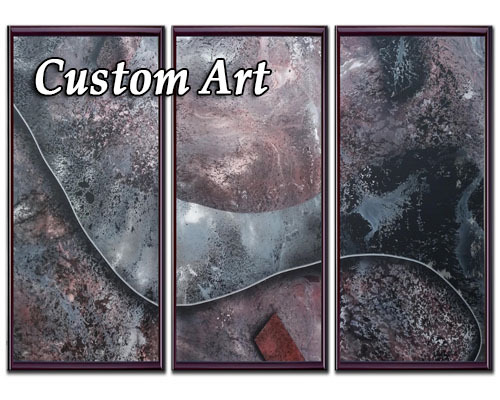 Yours will be one-of-a-kind. 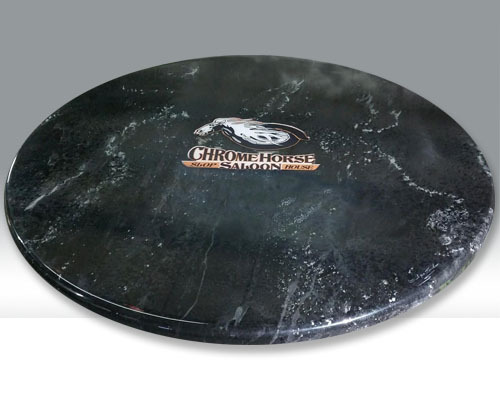 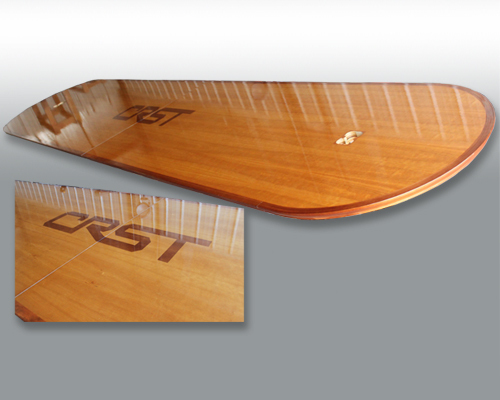 Custom tops can feature your business logo. 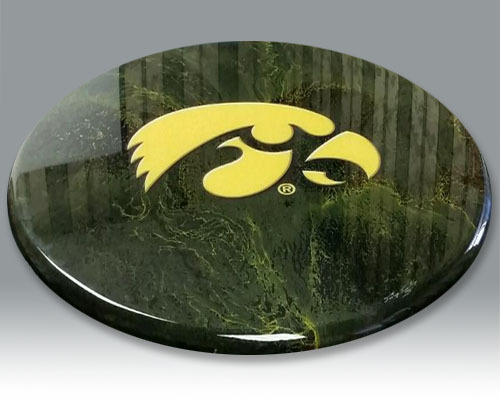 We are licensed with the University of Iowa to produce Hawkeye Tables. 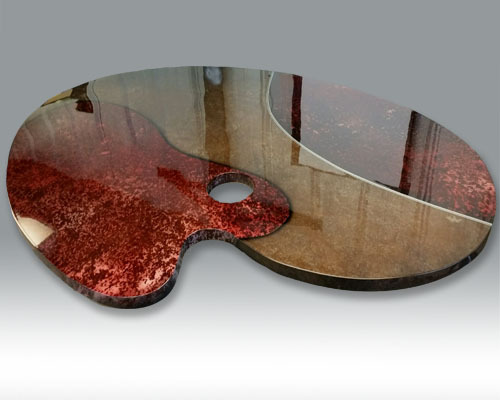 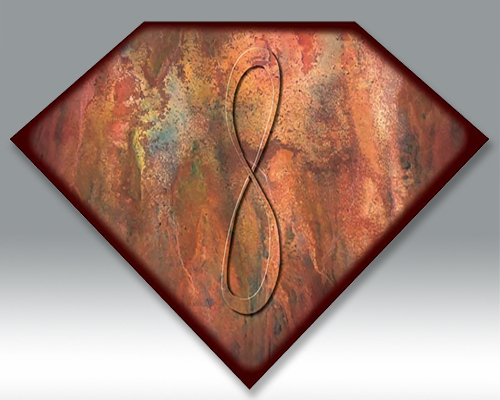 Signature Tables produces one-of-a-kind artisan tables, countertops and bartops. 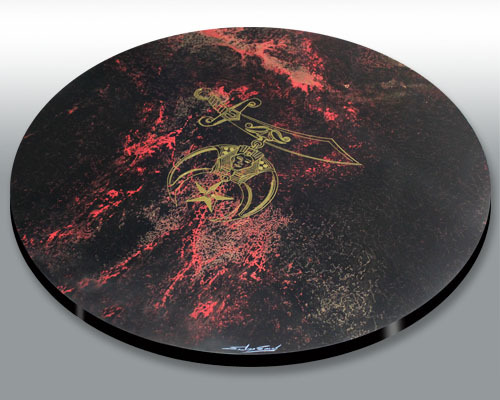 Each item is individualy hand painted and inspected for the highest possible quality, by the artist, Santiago Sanchez. 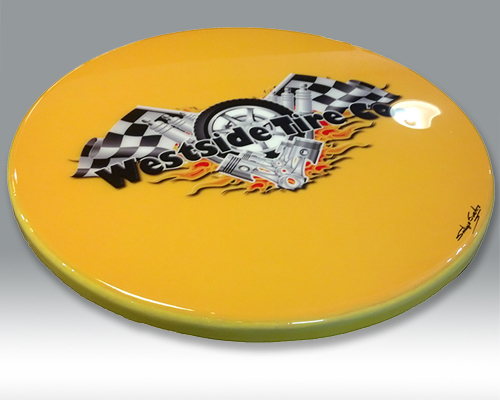 Your custom creation can feature your company logo. 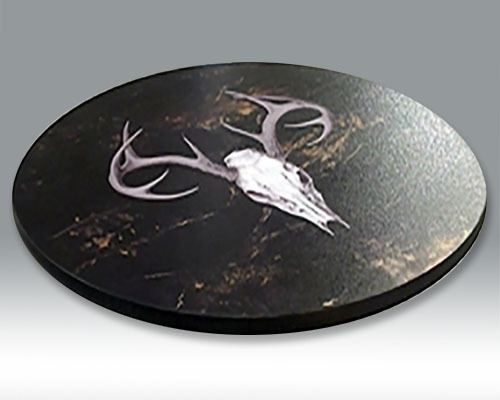 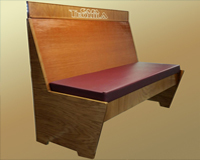 Our tops are produced in a variety of finishes including flat, semi-gloss, eggshell or a high gloss finish. 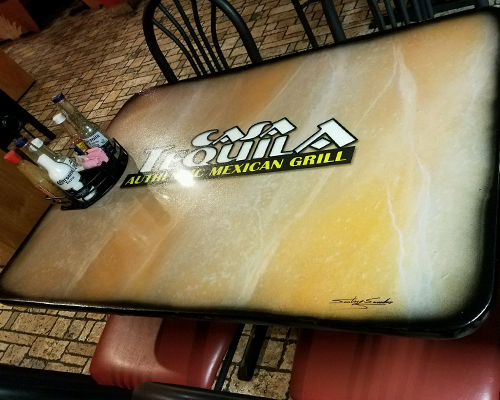 A few of our Restaurant/Business Table samples are displayed below. 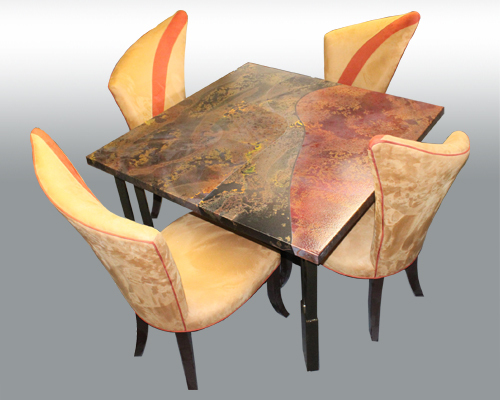 Custom Tables Samples are Displayed Below. 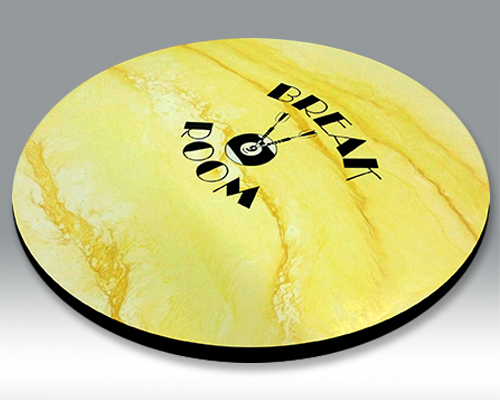 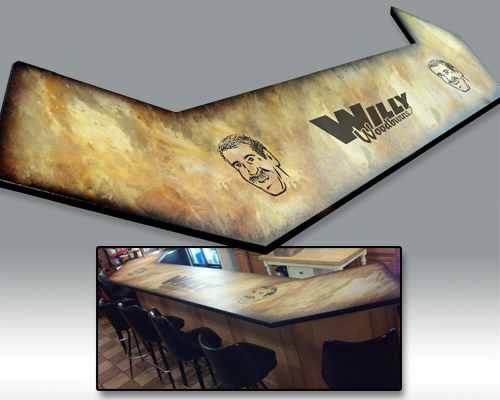 We produce custom tables based on your request, or customize creations for you. 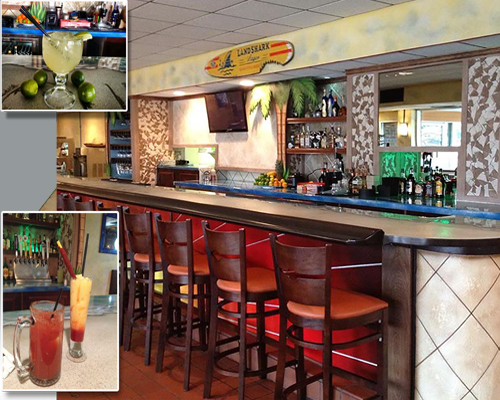 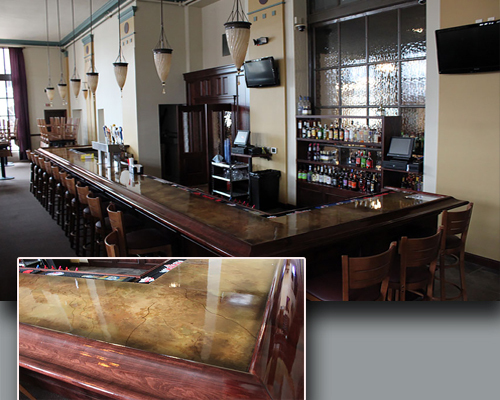 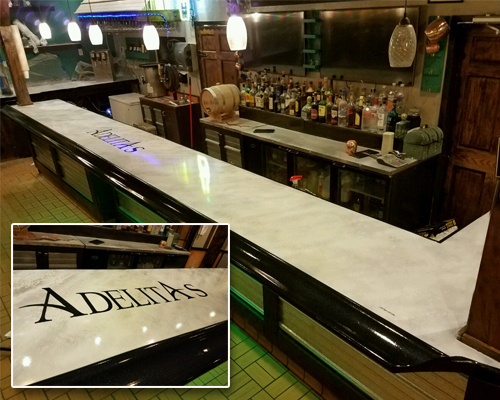 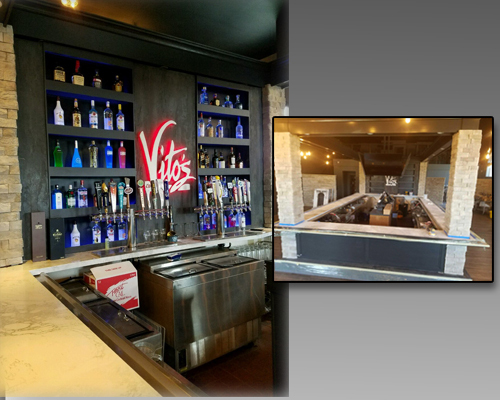 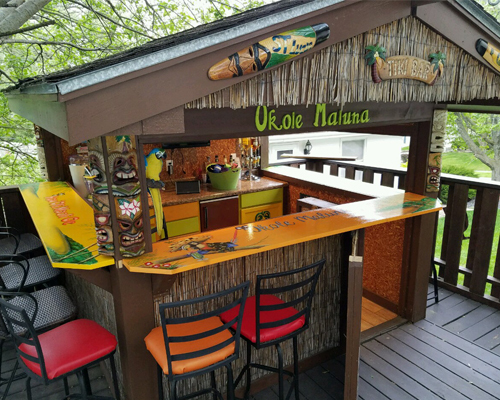 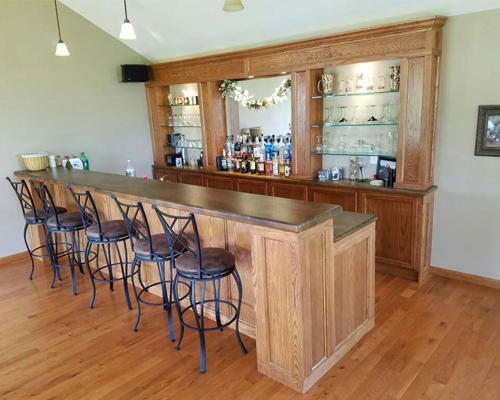 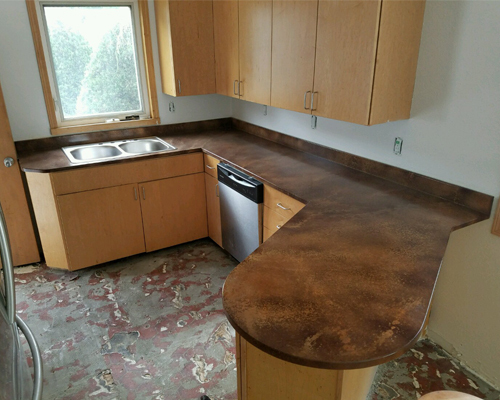 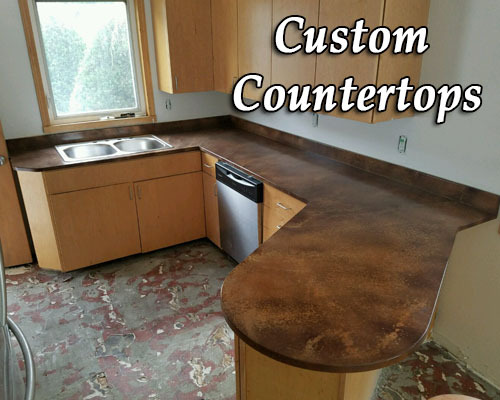 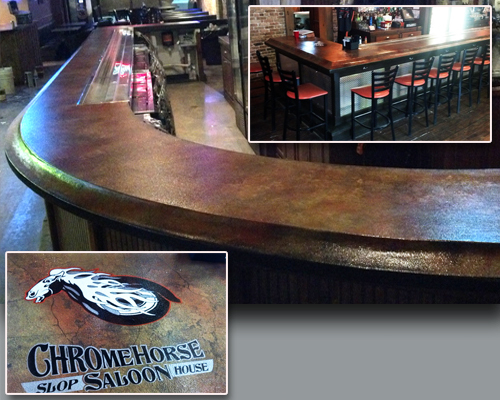 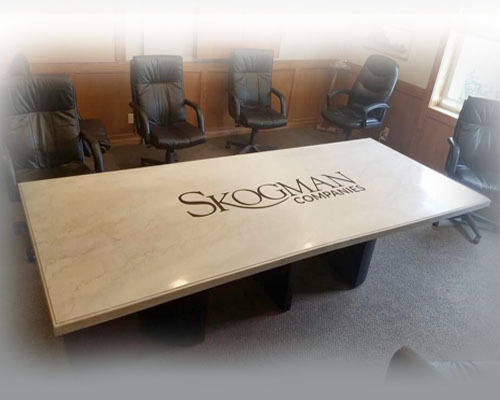 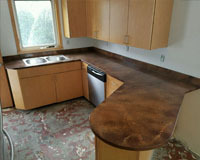 We produce custom Counters and Bartops for residential or commercial.